Last year Cut Golf came on the scene with a unique model for the golf ball market. What started out with a subscription component, moved to the idea that you can get the golf ball you want for your game, for less money than anywhere else. 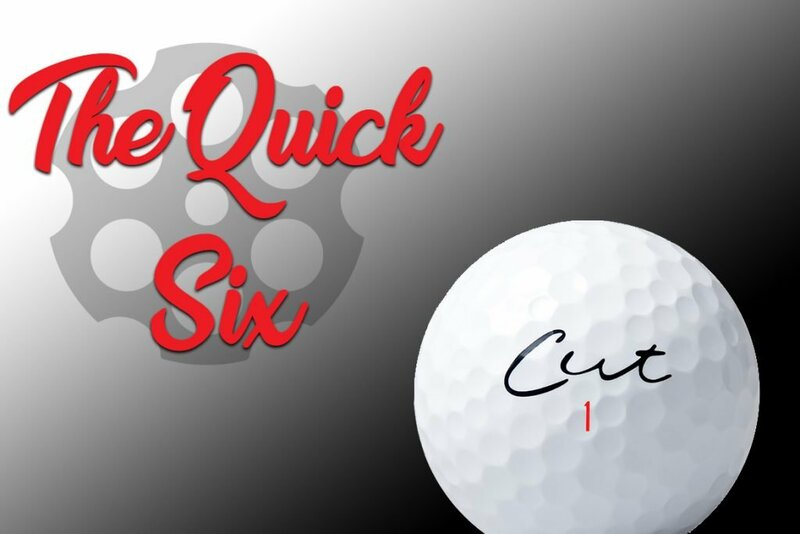 Now a year later, the company has a complete lineup of four different golf balls and we wanted to dive a little bit deeper and that means another episode of Quick Six. Where we get to the bottom of the news with the six questions you want answered most. THP: Cut Golf offers a serious value proposition, but you believe you have a golf ball for everybody as well. How much thought goes into creating your line of golf balls? Cut Golf: We truly listen to our customers. For example, based on our value proposition, we could most likely offer both of our urethane models and not worry much about including a surlyn ball in our line up. However, our customers have spoke and demand surlyn balls and we are meeting the demand of our customers. Every new ball added to our lineup starts with listening to our customers and creating a ball that they are asking for. Our soon to be released Matte line will include a Yellow, Orange and Pink ball that will be for sale on our site in early June. THP: The current market leaders costs more than double what you do for a multilayer urethane product. Do you fear your balls being viewed as “cheap” or “inferior” based solely on price? Cut Golf: Of course. This is why our messaging is counter to traditional golf ball marketing. We truly believe in changing the paradigm and this includes all aspects from how we run our operations, marketing, and distribution, which ultimately allows us to offer a premium product at its attractive price. Over the past year, we have amassed a loyal and satisfied customer base. They will be the first to tell you that our product performs along the same lines the major brands in the market. As each day goes by, our golf balls’ performance and quality are being validated by golfers and the golf media. THP: The company is lean and mean as we like to say. Tell our readers something about the group that they may not know otherwise and many hats each person wears to create this brand? Cut Golf: We have a great team here at Cut. Seems like we are all working 24-7 to bring our vision to fruition. Our organizational culture is extremely important. I make every effort to let each team member bring their creativity and ideas to the forefront. THP: The company has been pretty vocal on social media and other areas about wanting to have fun. Wanting golfers to have fun. Can a less expensive golf ball promote that and still be viewed as a serious product? Cut Golf: Why not? We wanted to have a different approach from a messaging and marketing perspective while putting out a quality product. 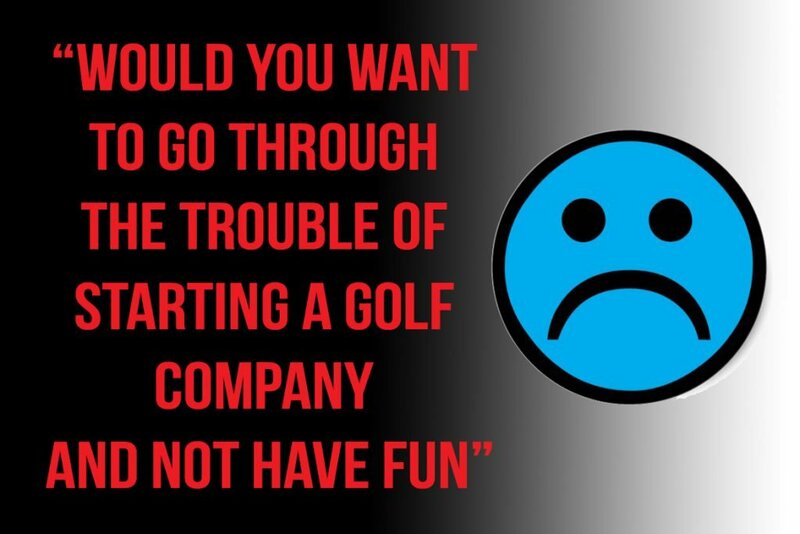 Ultimately, golf is supposed to be fun, sure we all have days on the course where it isn’t but think about it from this perspective, would you want to go through the trouble of starting a golf company and not have fun? We didn’t want to start a golf company and then end up resenting the sport we love. We take product quality, performance and customer service seriously while making sure that we have a good time along the way. THP: Who is the Cut Golfer? Cut Golf: The Cut golfer is anyone who plays the game of golf. You, me, your neighbor, colleague, kid, grandpa, mom, golf pro, and the list goes on and on. The Cut golfer is smart, happy to have found an alternative to paying $35+ for a dozen urethane golf balls. They understand that the golf ball is important to their game but a “premium” priced golf ball that is played by a tour player over the weekend isn’t going to drop the number of strokes they take during their next round. THP: What does the future hold for Cut Golf? Cut Golf: With our established loyal following, we have a lot planned for the future of Cut. We are excited to launch the Cut Golf Club this Spring, our subscription service allowing folks to have their balls automatically ship on their desired schedule. We are also developing and expanding our headwear line-up and so much more. Stay tuned! What do you think about the answers from Cut Golf? Have thoughts or opinions? Join us in the THP Forum where golfers are debating and discussing this interview right now. Great Quick Six interview. Golf is fun and I’m glad they have made it their motto. I love these pieces. Impressed by their answers, especially to #4. #1. Who designed the balls? #2. Who manufactured the balls? #3. Who tested the balls? #4. Were the balls tested against other balls? #5. What were the results? #6. Not needed. I would be satisfied if the first five questions had been asked and answered. They have been on the THP Forum and THP Radio. They designed the balls in house (according to them), they are manufacturered overseas at one of the many plants. The balls have been tested by them (just like most brands) and they have put out some of the results. Great read and a great company. Can’t wait for the matte balls to come out. Great read! I really enjoyed the grey last year, I may end up having to get a couple dozen of some of their newer offerings! Well, if we look in the dimple designs on the USGA list, very cool to see that Cut’s urethane lineup uses a 338 design. The same dimple design as Kirkland’s new 3 layered ball & Snell’s new 3pc urethane ball too. This could mean they’re all from the same factory somewhere in Asia or it might mean something else. It’s been awhile since litigations were up in the air and I think we’re not far away from seeing another hurricane pass by these half-priced urethane balls. Top brands (you know who they are) invested millions on ball patents, promotions and etc. to get to where they are and tag a hefty price on their premium balls. If I were them I wouldn’t let them have competitors who don’t have any ideas of IP steal their market share selling at half the price of what they can be worth.